The Dunkirk Evacuation, which took place in late May and early June of 1940, is an event which the late Winston Churchill deemed a “military disaster.” Even with that infamous description attached to it, it has become known as The Miracle at Dunkirk because of the amount of British Allied forces that were saved despite the odds due to bravery from the British Navy, Air Force, and civilians who were all too willing to help. It’s an incredible story and it’s a story that has now been scooped up by film making master Christopher Nolan, who not only succeeds in telling stories, but also sculpting them to feel new, unique, and memorable. Listen, The Dark Knight is a fantastic movie, Inception killed it in the imagination department, and Memento completely reinvented how to tell a simple narrative. That being said, Dunkirk may be Nolan’s masterpiece. The story of Dunkirk is split up into three separate narratives that become interweaved as the movie goes along. The first story that is introduced is that of a British private named Tommy (Fionn Whitehead). Tommy narrowly escapes Nazi forces and finds himself on the beach with thousands of other British and French soldiers waiting for evacuation. Throughout the next couple of days, Tommy must survive bombings by German planes, submarine attacks on their ships, while also navigating through an environment where everyone is fighting desperately to survive. The next story is that of Mr. Dawson (Mark Rylance), his son Peter (Tom Glynn-Carney), and family friend George (Barry Keoghan) who use their small civilian boat to sail to Dunkirk and rescue whoever they can. Along the way they find a soldier (Cillian Murphy) who’s ship was sunk by the Germans and who is also suffering from extreme post-traumatic stress. Finally, we come to the eyes in the sky. 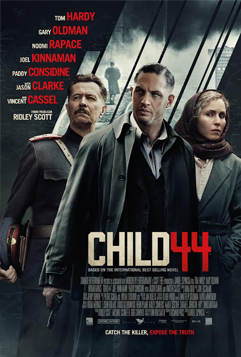 Royal Air Force pilot Farrier (Tom Hardy) and his partner take on numerous German bombers in order to protect the civilian ships and the troops on the beach. This becomes a much harder task when his fuel gauge gets destroyed and he has to rely on memory to know how much fuel he has left. Dunkirk is almost more than a movie. It’s an experience of sight and sound that is above the norm when compared to most of my trips to the theater. It’s almost as if the movie just wrapped around me and didn’t let up until the very last frame. The first shot of the film pulled me in immediately. It feels so sudden and unnatural, but at the same time beautiful. It sets the tone perfectly for the rest of the film. The camera swoops around the skies with the planes and runs along the beaches with the soldiers all while the devastating sound effects complete the audio/visual immersion. I don’t think I’ll be getting the sound of the German planes out of my head anytime soon. Even though that horrifying whine steals the show, the other planes, gunshots, explosions, and ricochets boomed out of the sound system and made me jump a few times. Finally I have to give major credit to Hans Zimmer for his subtle yet intense score that moves with the plot perfectly. Something that really surprised me about Dunkirk is the way the story is told. Nolan is known to tell intricate stories, and his earlier works like Following and Memento especially play around with narrative structure. 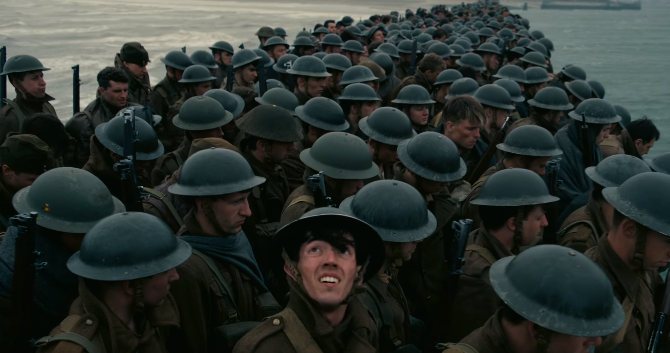 While Dunkirk isn’t quite as broken up as Memento, it still has a unique flow to it. The soldiers on the beach have a story that lasts a week, the civilians in the boat span a day, and the pilots span an hour. This really enhances the story because we’ll see something happen through the eyes of one character and then later on in the movie we’ll see it again from a different perspective. This gives the viewer a fuller view of the event as it happened. It’s also just a lot of fun putting the pieces together as the movie goes along. It was a little bit confusing at first, but I got into it pretty quickly. Could the movie have been told in a linear way? Yeah, I’m sure it could have been but I’m also glad it wasn’t. A complaint I’ve been hearing is that there isn’t enough character development. 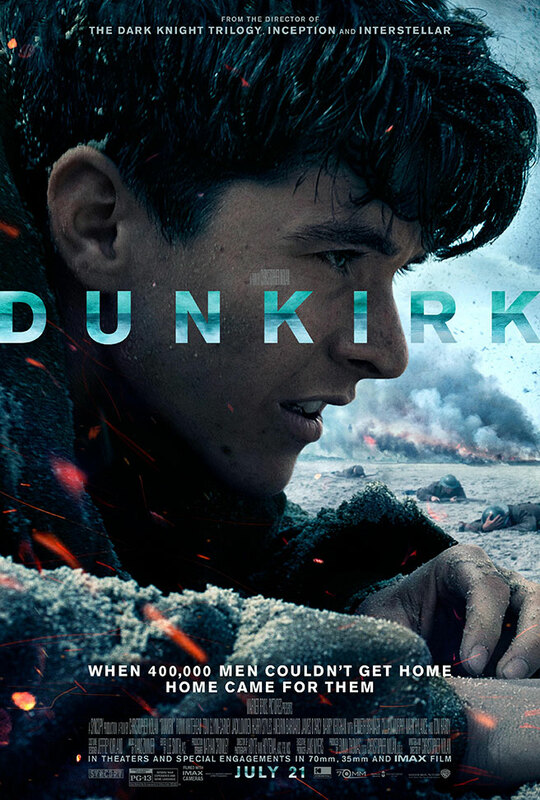 This kind of confuses me because I never really looked at this movie as being about the characters, but more so about the events that happened on those brutal days and nights in Dunkirk. The characters in this movie serve as archetypes for real soldiers. From the PTSD ridden soldiers to the heroic English civilians, these characters represent many. This doesn’t mean there aren’t some great performances, however. 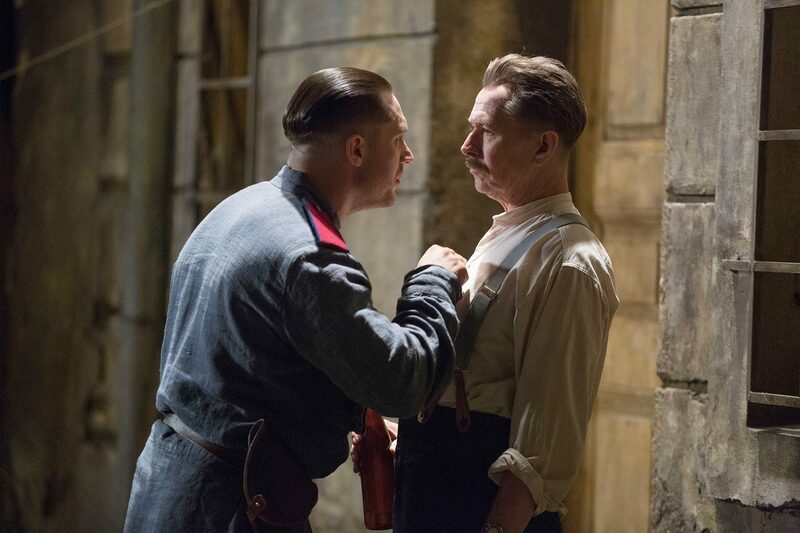 Kenneth Branagh, Mark Rylance, and Cillian Murphy are the real powerhouse performances in this movie, but there wasn’t a shaky actor in the bunch. I really don’t mind not seeing their backstories or what became of them or what their motivations for their actions were, and honestly there just wasn’t time in the narrative to slow down. Dunkirk is a masterpiece of epic proportions and is quite frankly the best work I’ve seen from Christopher Nolan. This has been a pretty strong summer with the movies I’ve been seeing, but nothing can top this one. If another movie comes along this year that hits me as hard as Dunkirk did, I’d really be surprised. This is a movie that can’t be missed. It tells an incredible story of survival, but it also reworks the tropes of the war genre in ways that I haven’t seen done before. This film is outstanding and I can’t wait to see it again. 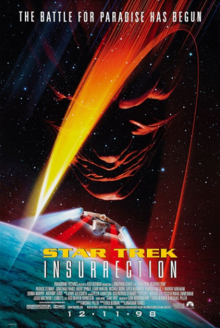 It’s going to be very hard writing this review considering my brain has just been blown through the back of my head and splattered all over the back wall of the theater. Anyone who is familiar with the Mad Max movies knows that the series doesn’t shy away from complete insanity. George Miller has created a dystopian world where gangs rule the wastelands of what used to be planet Earth. Now, what Miller has done with Mad Max: Fury Road is not only redefine the term “survival of the fittest,” but has also raised the bar for any action movie to be released in the future. Still haunted by the death of his family, Max Rockatansky (Tom Hardy) continues to wander the wasteland and simply survive. Of course, it’s never that simple for Max and he soon finds himself in the hands of the War Boys, who are led by the maniacal and vicious King Immortan Joe (Hugh Keays-Byrne). During what should have been a routine pick up for gas, Imperator Furiosa (Charlize Theron) makes a quick detour into the wasteland. The truth of the matter is that she has all of the king’s wives in the back of her tanker and is taking them to the safety of her old home. As always, Max is inadvertently thrown into the mix, and with the memories of the family he failed to save haunting him, he decides to help the wives and Furiosa get to their destination, which may prove difficult with an army of War Boys and factions chasing them through the vast nothingness. 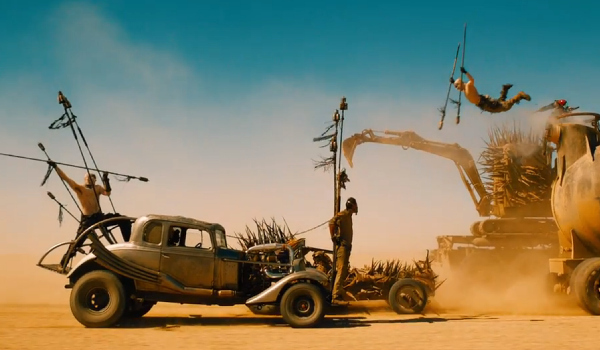 It’s almost like I can’t even process everything that I witnessed in Mad Max: Fury Road. To be honest, it’s kind of refreshing. It’s as if George Miller took the book of directions on how to make a movie and tossed it out the window in favor of sheer insanity. There is so much spectacle that I actually felt exhausted when the movie was over. At the very beginning, there’s a little bit of set up to get the viewer into the world once again, but don’t get too comfortable. Before you can even say “Rockatansky,” you’re being thrown into one of the most unreal car chases you may ever see at the movies. When it was over, I was actually kind of worried because I didn’t want to have seen all of the coolest stuff at the beginning of the movie. I really had nothing to worry about. The action just kept getting better and better, and the movie only slows down a few times. If it didn’t, I’d probably be dead. But the action isn’t the only spectacle on display. Believe it or not, this is a beautiful movie in pretty much every way. The way the blue of the sky contrasts with the yellow and orange of the sand looks amazing and there’s something mesmerizing watching the slow motion destruction. It’s all calculated so well that I can only describe it as synchronized mayhem. What only adds to how great it looks is that most of it was done through stunts and practical effects. Sure, there’s CGI in this movie and it looks great, but most of what you see is actually happening, and that’s pretty mind blowing. I’ve heard complaints that Max doesn’t do enough in this movie and that Furiosa is actually the main character. My response to that is that, yes it feels different in the sense that Max isn’t the only hero. In all of the movies, Max is thrown into a situation that he doesn’t want to be in, and in really no way is he an interesting character. His role is to save the day, sure, but also be our eyes and ears to the anarchic world of the future. The most interesting things in this movie and the other movies is the world around him and the villainous scavengers that inhabit it. The fact that Furiosa is the main focus is cool because she’s a badass, but it’s still clear that Max is crucial to her success in the movie. Mad Max: Fury Road feels a little different from the other entries in this series, but it is actually a superior movie to The Road Warrior, which I didn’t think could be topped. Tom Hardy, Charlize Theron, Nicholas Hoult, and Hugh Keays-Byrne are all completely in character and the action is some of the best you’ll ever see. 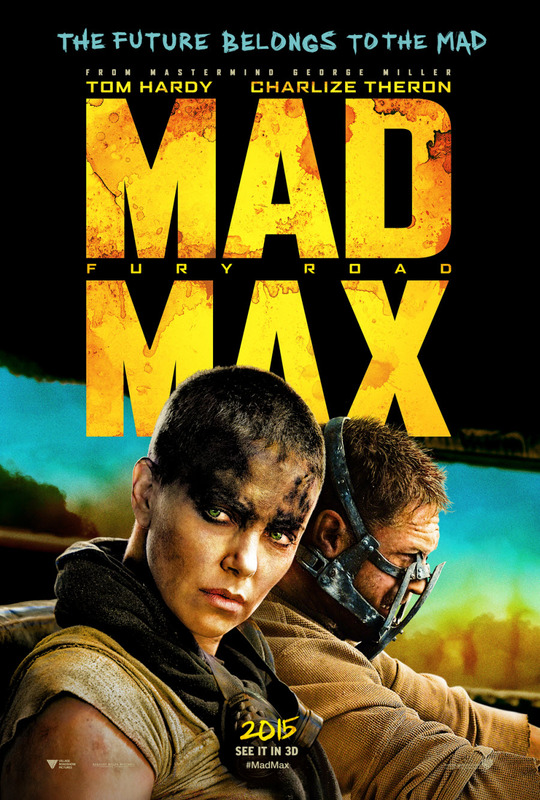 To anyone who is a fan of the Mad Max movies, it’s necessary to check this movie out, and really it’s necessary for anyone who likes to have fun. It’s one of the best movies of the year so far, and may end up being my favorite movie of the summer. Without giving away too much of the plot yet, let me just say that Bronson is based off of a true story. 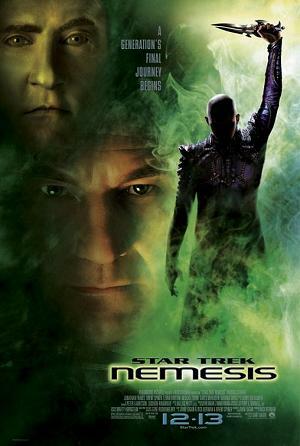 To anyone who has seen this movie before, it just makes the entire spectacle all the more ridiculous. 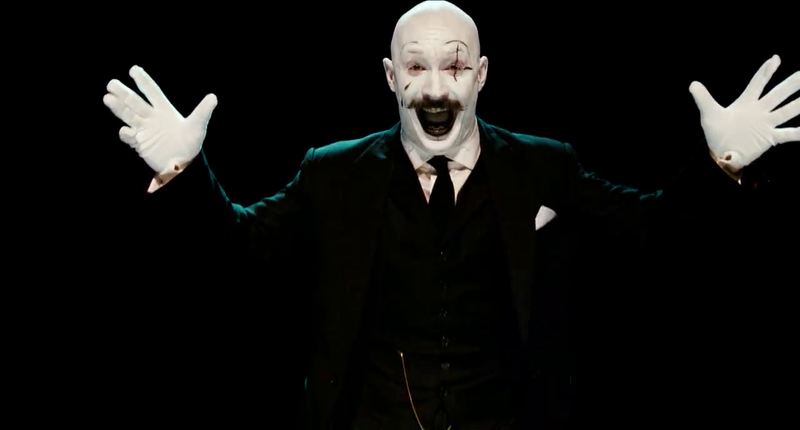 Nicholas Winding Refn, whose most recanting outings of Drive and Only God Forgives has made him a more prominent name in the American film scene, already created a strange and beautiful head trip with Bronson. This isn’t your average, everyday biopic. This is a biopic through the eyes of a madman about a madman. Keeping this a traditional, straight forward biopic wouldn’t be doing it’s subject any justice. Michael Peterson is a loose cannon whose mind seems to be all over the place. The form of Bronson is almost episodic, highlighting major moments in Peterson’s life, from his younger years to the more present time. All the while, we are treated to Peterson’s random acts of brutal violence with what seems like no motivation at all. He just loves the feeling of beating a prison guard’s face in. 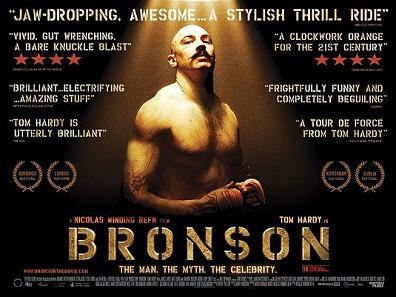 Now, a major problem with Bronson, that also seems to be apparent with Nicholas Winding Refn’s films, is that the movie gets a bit too pretentious for its own good. I’m all for artistic movies or movies that try to be as bizarre as possible, but Refn seems to go a bit too crazy at times. My only other experience of his films is Drive, and as cool as that movie is there are times where it gets too excessive in a way where Refn thinks he’s being super cool and edgy. The same can be said about Bronson, except that it is even more guilty of pretentious excess than Drive. 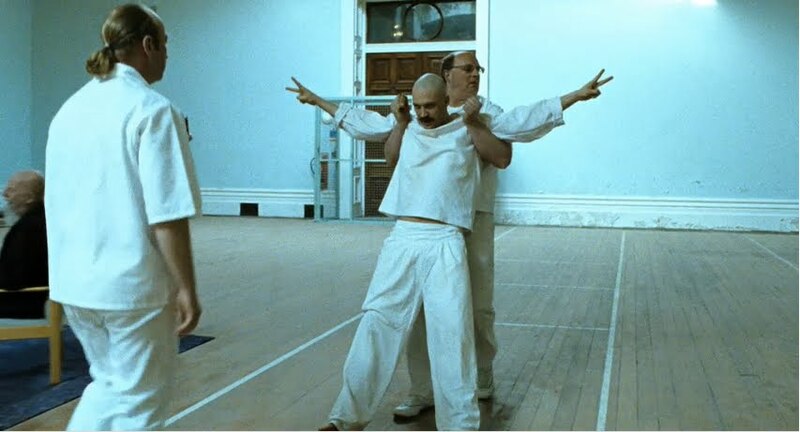 But for what it’s worth, I do love a lot of the insanity in Bronson. 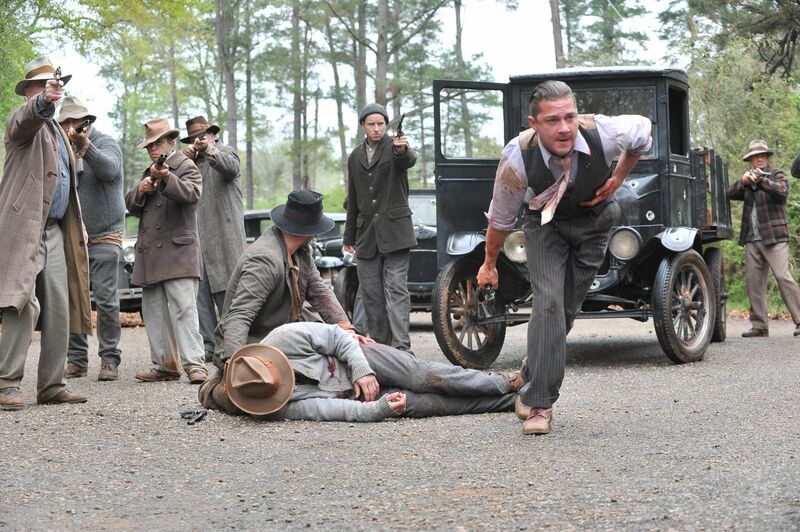 The fight scenes that are a main part of the movie are absolutely vicious. Peterson is a tank that takes multiple men to take down, and just watching Hardy’s performance as he goes into a sort of berserk mode is just too awesome. It’s bloody as a pulp, and the sounds of flesh being his and bones being broken is sickeningly fantastic. This movie certainly isn’t lacking style, that’s for sure. Bronson isn’t for everyone. It has often been called A Clockwork Orange of the 21st century, and we all know how a lot of people feel about A Clockwork Orange. It’s a stylish trip into the mind of one of the most notorious criminals in history. It’s easy to love the character and hate him at the same time. So, it is fun and stylish, but it’s pretentious as all hell. I can live with that though. Bronson is an awesome movie.